Landscape Installations: Foundation Plantings, Ornamental Plantings, Plantings for Screening. Planting Large Trees is a Specialty. Walkways & Patios: Using Natural or Manufactured Products. Our Staff is I.C.P.I Trained. Excavation Services: Grading, Driveways, Drainage, Water and Sewer Lines. Fall Clean Ups, Spring Clean Ups. Gardening Services: Weeding, Fertilizing Trimming and Pruning. Tree Service: Pruning and Removals. We are Licensed and Insured. Moody’s Nursery takes the labor out of your project with our Outstanding Landscaping Services. We can provide the labor to get the job done. 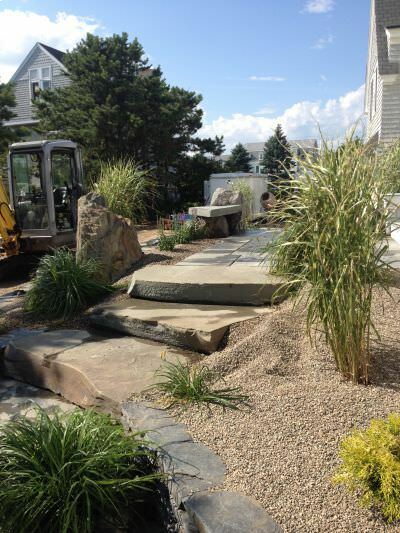 From simple sod removal, and site preparation to complete landscapes with Hardscapes and Planting combined. With over 30 years of Personal Landscape and Excavation Experience, Rob will make certain that your Landscape will withstand the test of time.